This unique ''berm home'' offers a magnificent living experience on 6.2 acres within 5 minutes of I-64 in Waddy, Kentucky. With a detached 3-car garage/workshop, this property features a ''Gatlinburg'' style kitchen, cozy living room w/ stove, loads of storage, and tranquil atmosphere. 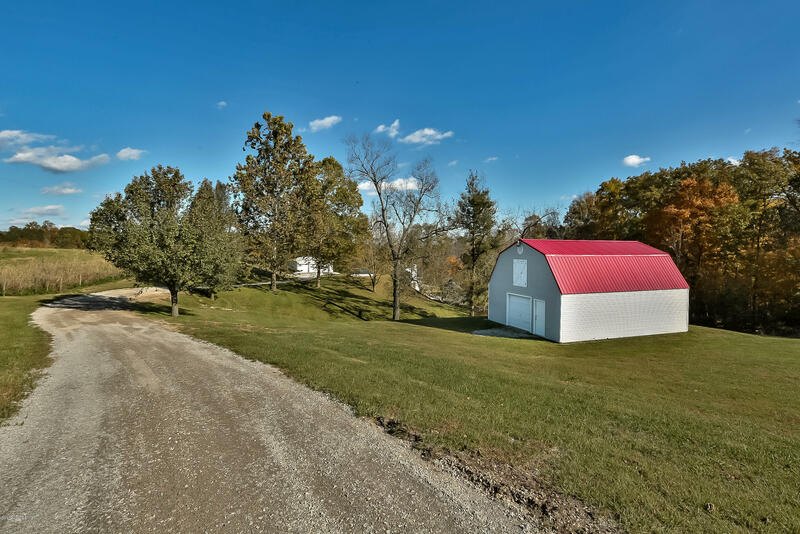 EXTRA BONUS FEATURE: Large Barn for extra storage/workshop on front of property.